A quick update to let our readers know that the Rock 66 Diner is now open in Birmingham, its an American style diner with some amazing burger and milkshakes options. We wait years for something to happen in Birmingham and before you know it we have Rock 66, Tinseltown and Fargo’s! 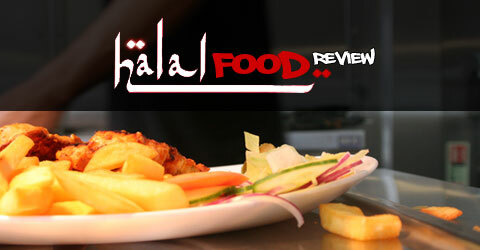 Even better news alhamdulillah Rock 66 are offering a free meal and a milkshake to the Halal Food Review reader who pledges the highest donation to our Feed the Poor Campaign. The donation to beat to get your free meal and milkshake is £50. We tried out Rock 66 this past Friday and here is our super quick mini review to get those tastebuds tickled! Rock 66 offers a super menu that offers something completely different, they offer steaks, grills and some of the most interesting burgers in the Midlands offering you a whole range of different beef, lamb and chicken options with a whole host of different toppings and extras to choose from! I have to say I love the design of their menu it looks slick! The portion sizes are generous, so be careful when you order, its very easy to order too much and end up like us having eaten so much we left no room for a milkshake or dessert. With over 55 different milkshake combinations that was the ultimate mistake we could have made! I absolutely hate beefburgers!, Give me lamb or chicken any day. I didn’t really enjoy my burger but that is down to my own poor decision making! I take full blame for that. Next time I will try the Chicken or Lamb options! We will update the review once we’ve had a chance to try out some of the shakes and desserts!